Gstaad - Schonried - Saanenmoser (or Gstaad - Schönried - Saanenmöser) in Switzerland (in the Bernese Oberland region) is a large resort with 17 lifts (5 chair lifts, 9 surface lifts) that offers skiers an impressive 856 metres (2808 feet) of vertical descent. Gstaad - Schonried - Saanenmoser (or Gstaad - Schönried - Saanenmöser) has 65 kilometers (41 miles) of pistes. 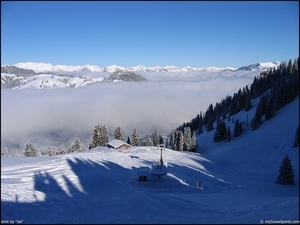 Gstaad - Schonried - Saanenmoser is best suited to beginner skiers and snowboarders but there is some terrain for intermediates but little of interest for expert skiers. 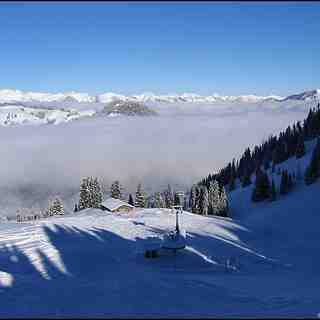 There are 18 kilometers (11 miles) of cross country ski trails at Gstaad - Schönried - Saanenmöser. For snowboarders, there is a terrain park. The nearest airport is at Geneva/Bern.